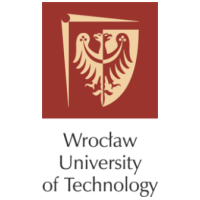 Wroclaw University of Technology, established in 1945, is divided into twelve faculties. Currently it enrols approximately 33,800 students. It is one of the leading Polish Technical Universities. The university maintains lively contacts with teaching and research institutions from all over the world. It is involved in the following research programmes: LLP-Erasmus, Erasmus-Mundus, the 7th Framework Programmemee, and Leonardo da Vinci. The high level of research and the well-equipped laboratories result in a wide co-operation with Polish and international companies, e.g. Philips Lighting Poland S.A., KOGENERACJA S.A., Toyota, LG, WABCO, EnergiaPro, KGHM Polska Miedź S.A., Whirlpool. The Institute of Mathematics and Computer Science is a part of the Faculty of the Fundamental Problems of Technology. It employs 16 full professors, 13 associate professors, 23 lecturers and 58 junior faculty. The Institute is responsible for teaching mathematics for all faculties of Wroclaw University of Technology. It also educates professional mathematicians and computer scientists. The Institute offers Bachelor and Master programmes in Mathematics and Computer Science. This year it opened a new engineering programme in Applied Mathematics, which is the first of this sort in Poland. Also, with the industry in mind, the two-year Master’s degree programme “Mathematics for the industry” has been developed. This was possible due to the Wrocław University of Technology becoming a member of the European Consortium Mathematics for Industry (ECMI). In co-operation with the Univesity of Oxford (Great Britain), the Lappeenranta University of Technology (Finland), and the University Joseph Fourier Grenoble (France), high level specialists are educated who, using mathematics, are able to solve the complicated problems of the contemporary industry. Also, the Institute offers a PhD programme in mathematical sciences. Currently there are 32 PhD students enrolled. Members of the Institute conduct a high level research in many fields of mathematics and statistics: both theoretical and applied. The Institute hosts the Hugo Steinhaus Center, whose major goal is to organise, encourage and support research and education in stochastic techniques as applied in science and technology. A feature of the Center is a synthesis of viewpoints of mathematicians, biologists, economists, computer scientists, physicists, chemists and engineers, working in the Center on equal footing. Main Project Tasks: The Institute of Mathematics and Computer Science of Wroclaw University of Technology will be responsible for the research on identification of genetic factors influencing the response to the treatment and construction of the statistical model for prediction of patients’ response based on genetic and environmental factors (WP8). Dr. Malgorzata Bogdan is an Associate Professor in the Department of Mathematics and Computer Science of Wroclaw University of Technology. She works on the analysis of high dimensional data and its applications in statistical genetics. She is the head of “Statistical genetics” group. She published 28 articles in international journals in the fields of statistics, genetics and bioinformatics. In 2012 she received a Fulbright Senior Advanced Researcher Award for a 9 months stay in the Department of Statistics of Stanford University. She is on the Editorial Board of Scientific Reports published by Nature Group. She was the principal investigator in two grants of the Polish Ministry of High Education and in 5 international cooperation grants between Wroclaw University of Technology and Vienna University. In 2005 she was the project manager for an industry project for “Siemens”.